I'm sorry I haven't blogged in a while - but with a broken camera and temperamental internet connection, (not to mention, full time uni & thus, 6am wake-ups) my heart's just not in it any more. I'm really upset about my camera still - I'm considering selling it and getting a sony nex-5n but being unemployed and consequently, struggling, I don't think I'll quite be able to make up the difference (let alone dream of getting the nex-7). I spent my day off uni yesterday getting a much needed, but possibly useless, haircut - but I'll get back to that - followed by eyebrow maintenance (where my eyebrow lady looked me up and down and told me I'd gained weight - lol I laughed it off because she was older and asian and those types have a tendency to be blunt). Leaving with neat brows, albeit with the cost of a slightly deflated ego, my spirits were lifted upon getting lost in St Vinnies. I never mean to spend that much time in there, but I can't resist a good vintage find - and any seasoned op-shopper would know, you HAVE to look through ALL the racks to get one (or ten) of these. I left with three tops, a maxi skirt, two pairs of pants and three dresses (one of which was an unworn Mad Cortez sample) for less than forty bucks (although I donated the change anyway - giving is nice & I already felt like I was ripping them off lol). I'll post pictures later. This is what I wore today by the way. Super comfy. 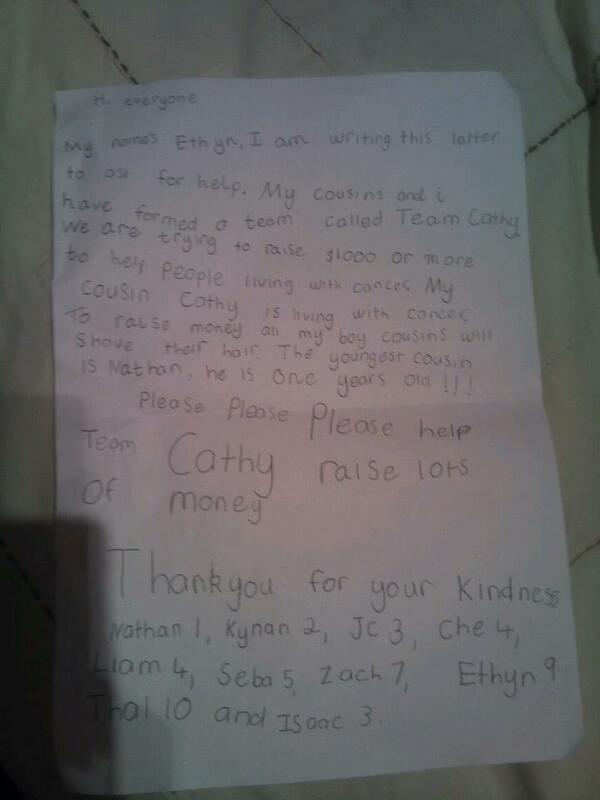 In other news a group of 10 of my nephews and little cousins are doing the world's greatest shave on Sunday. It was my 9-year-old nephew's idea - in honour of our cousin Cathy who is currently battling leukaemia. Cute as. You can donate here: http://my.leukaemiafoundation.org.au/TeamPage.aspx?teamID=67359&langPref=en-CA&Referrer=http%3A%2F%2Fwww.worldsgreatestshave.com%2F & if we reach $10,000 (I know it's a long shot - but anything's possible by word of mouth!) I'LL even shave my OWN head. Seriously. Even though I've been trying my best to grow my hair over the last 4 years. I haven't brushed it here, so excuse the mess...but you get the idea. So get donating - any amount, big or small. & Don't forget to spread the word, it's for an amazing cause!